In the midst of constructing a Timber Frame, Cobb Walled Firewood Shed Mansion; it was decided the dead wood should be housed by the living. 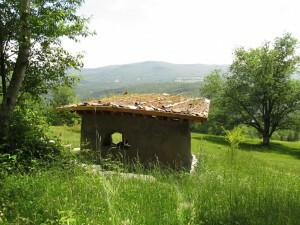 So, on the 14th of August, 2011 A.D, a Yestermorrow Design/Build class set out to sow sustainability into the hillside of Knoll Farm. 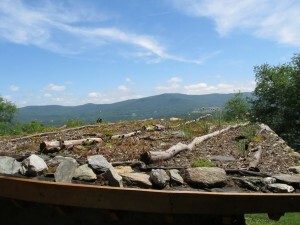 Guided by two “Green Cowboys” armed with sedums, side-burns, and sunglasses; a motivated class of Green Roof Design students turned the vision into action, completing said roof on the 18th of August. 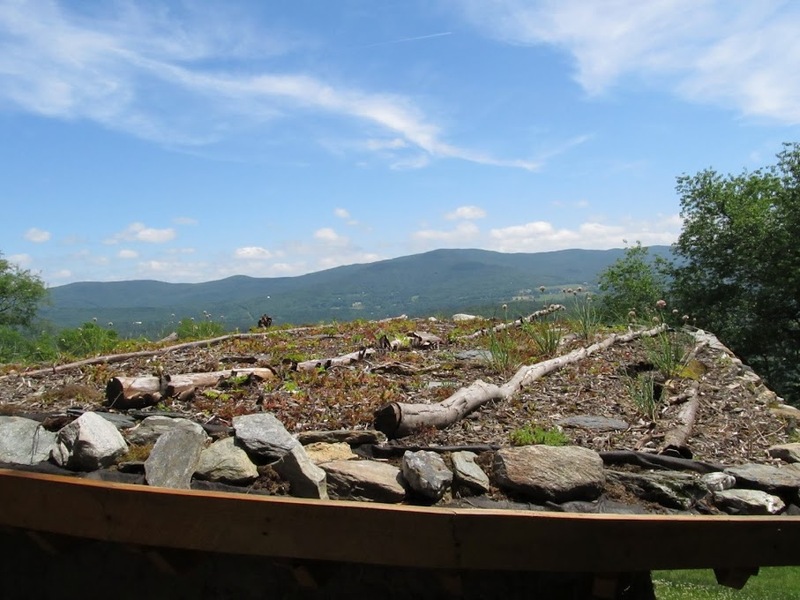 Using donated multi-organism mulch and sedums along with locally harvested native plant species a habitat for insects, vegetation, and mushrooms was established. Baptized with the waters of the Mad River and blessed by a Banjo the roof also extends the life of the roof-membrane. 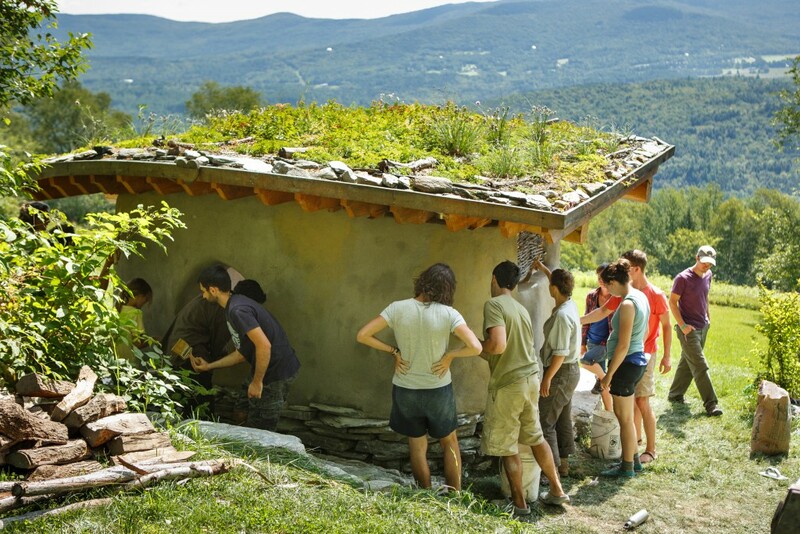 Thanks to the Center For Whole Communities family, who provided the site, skills, and savvy; they fostered a safe leaning environment for Green Roof Design & Installation class. In the spirit of regeneration, systems design, positivity, and preservation of natural beauty, the roof intends to act as a bridge between here and hereafter. Class website and course description.